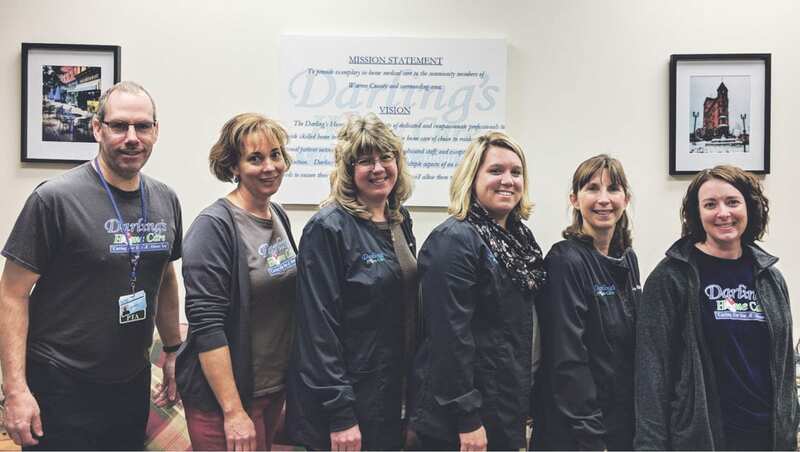 Photos submitted to the Times Observer From left are Paul Bova, PTA, Deanna Beyer, MPT, Donna Kavinski, RN, Crissy Williams, RN, Tracy Mahaffey, RN and Jennifer Hoffman, MPT in the Darling’s Home Care office. Darling’s Home Care of Warren was recently recognized nationally with two awards for excellence. The awards were based on measures set by the Center for Medicare and Medicaid Services (CMS), according to Kathleen Courson, administrator for home health care business. 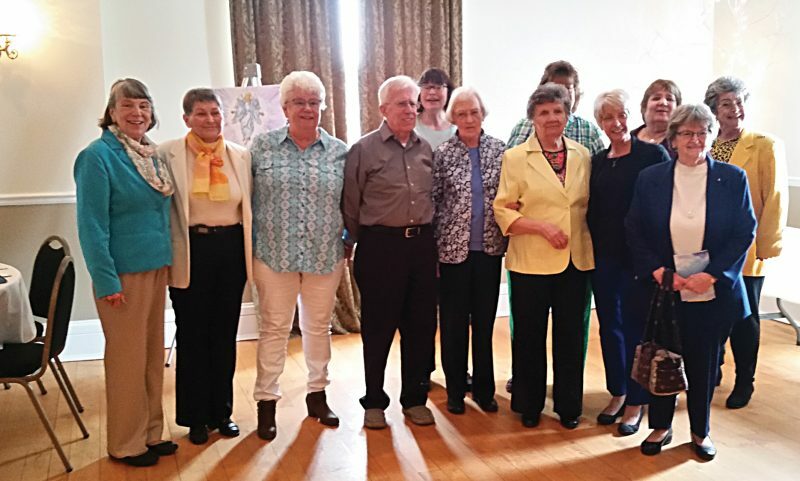 Darling’s Home Care was one of six PHA-member home health providers in the state to be recognized by HEALTHCAREfirst for continuously providing quality care as measured by customer satisfaction, Courson said. PHA is the Pennsylvania Homecare Association. HEALTHCAREfirst is a vendor that helps home health and hospice agencies simplify compliance and documentation requirements. 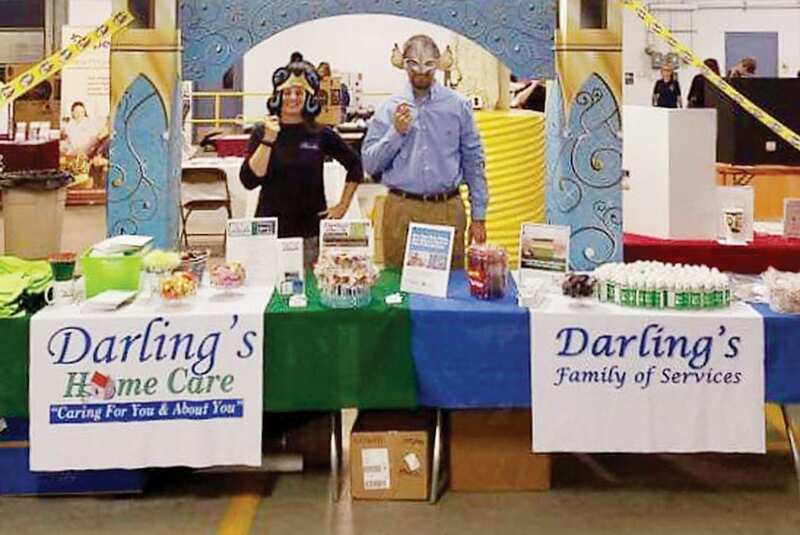 Darling’s was also among 38 PHA-member organizations named to the HomeCare Elite List of Highest Quality Providers, Courson said. HomeCare Elite has just released its annual compilation of the highest quality home health care providers in the United States, according to Courson. This review from ABILITY Network and DecisionHealth recognizes the top 25 percent of agencies in home health performance measures. Courson called the recognition an honor and attributed the recognition to the agency staff. Times Observer photos by Lorri Drumm A group of clients and staff at Bollinger Enterprises prepare to take part in a group photo with guests who were recognized at a celebration of the organization’s 46th Founder’s day on Friday. Times Observer photo by Brian Ferry A City of Warren Department of Public Works crew installs a 10-year-old sugar maple in the municipal building’s front yard. Times Observer photos by Lorri Drumm Margaret Foley, naturalist and volunteer coordinator at the Audubon Community Nature Center, accepts a proclamation recognizing its partnership with Bollinger Enterprises from Jeanine Valencia, BEi program specialist, and William Clark, BEi executive director.